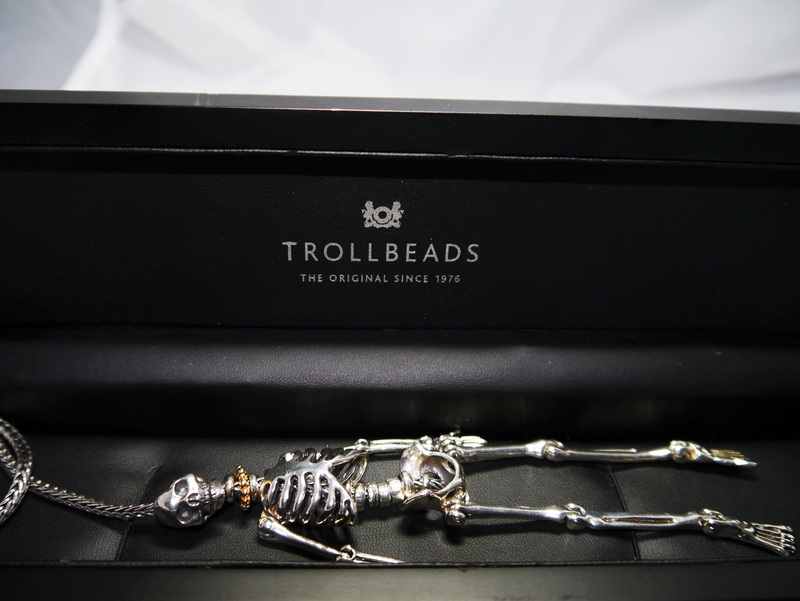 Today brings a review of Trollbeads most limited and eclectic release to date …. 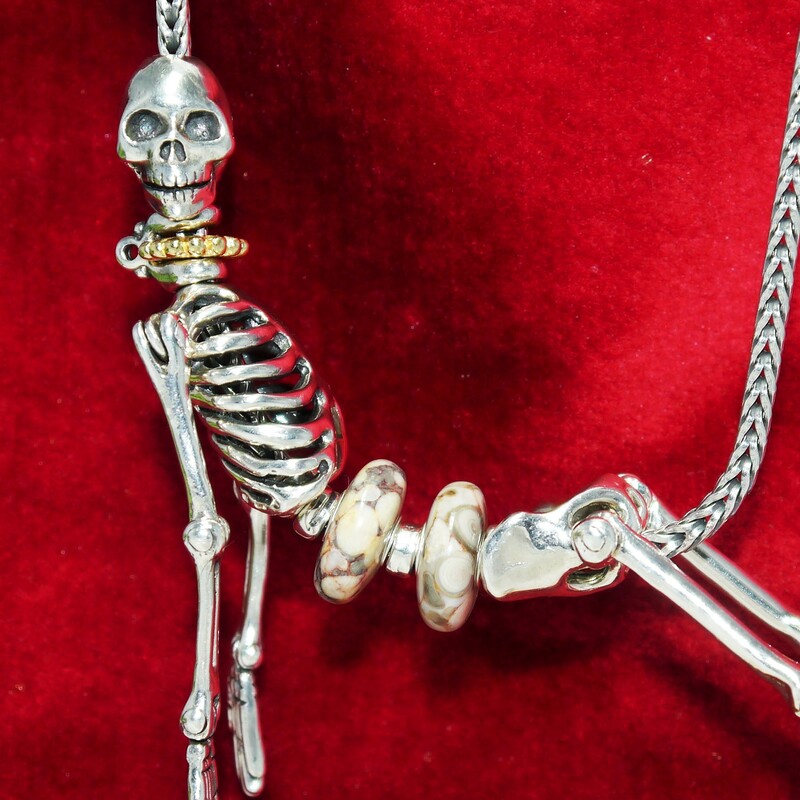 the Skeleton Necklace. Whilst this was released back in 2010, I have only just managed to become the lucky owner of one, with many thanks to a lovely lady called Sharon! 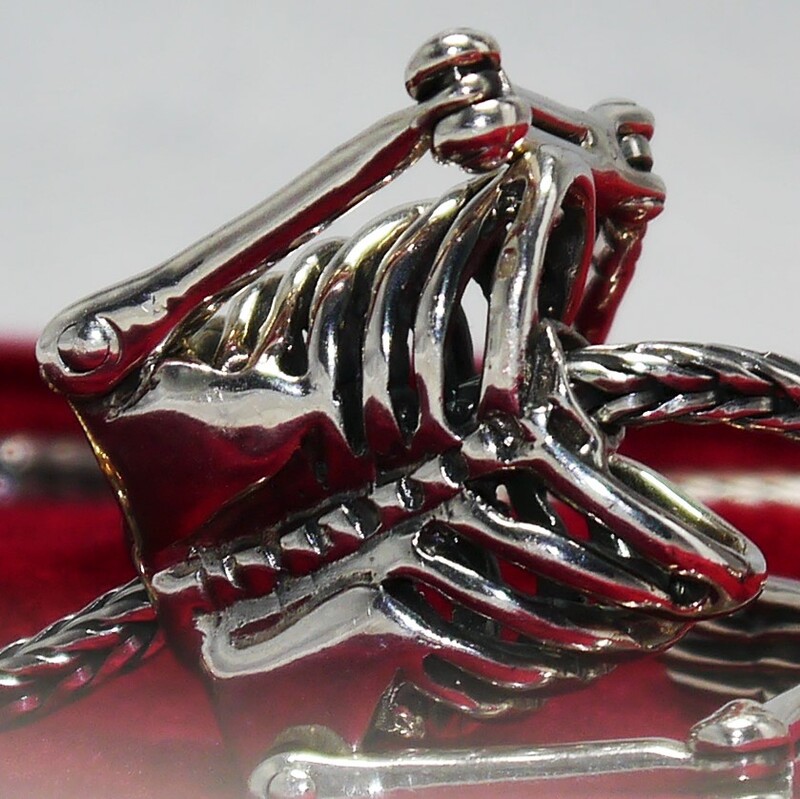 In the UK, the release was limited to 25 pieces, and each skeleton came with its own coffin-style black presentation box. Limited numbers were also released in other parts of Europe and the US, though from what I understand, the presentation case was UK only. 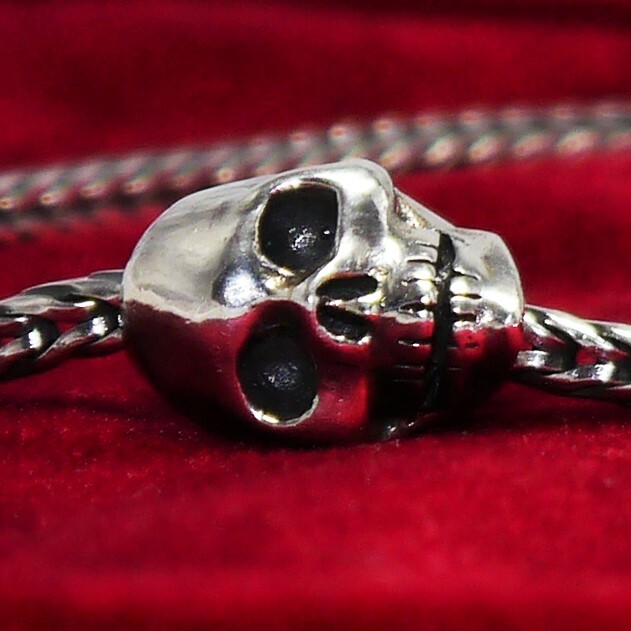 The necklace comes with a 50cm silver chain and plain lock. The head features a skull on one side, and a human-like face on the the other. 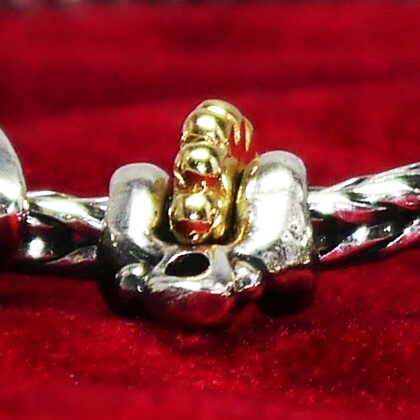 The Trollbead stamp (925S LAA) is on the underside of the chin. The neck comprises of two parts, the silver bones and an 18ct gold neck decoration, a small sun circle , which slots into the neck. The ribs cage and arms come in one piece. The arms are jointed at the shoulder, elbow and wrist. The spinal column consists of five individual vertebrae, which have each been numbered 1-5. The pelvis and legs come in one piece, and as with the arms, the legs are jointed at the hip, knee and ankle. This is a truly exceptional piece, and the attention to detail is amazing. Despite the eeriness of a skeleton, this one is actually very endearing. 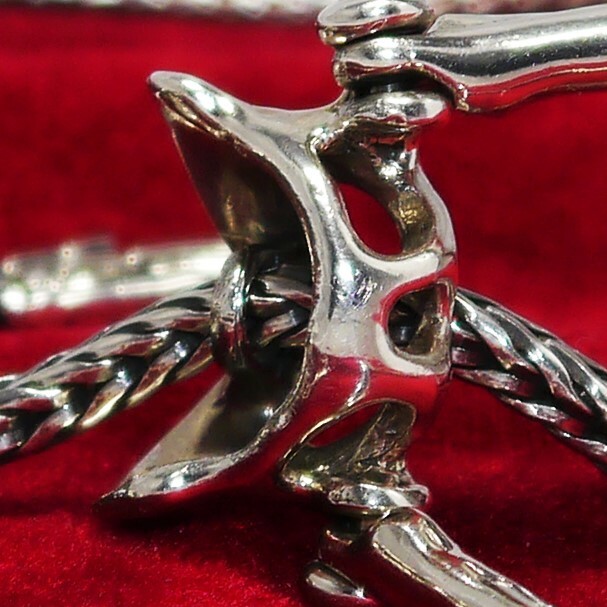 The way it hangs and dangles seems to bring it to life and give it a character of its own. 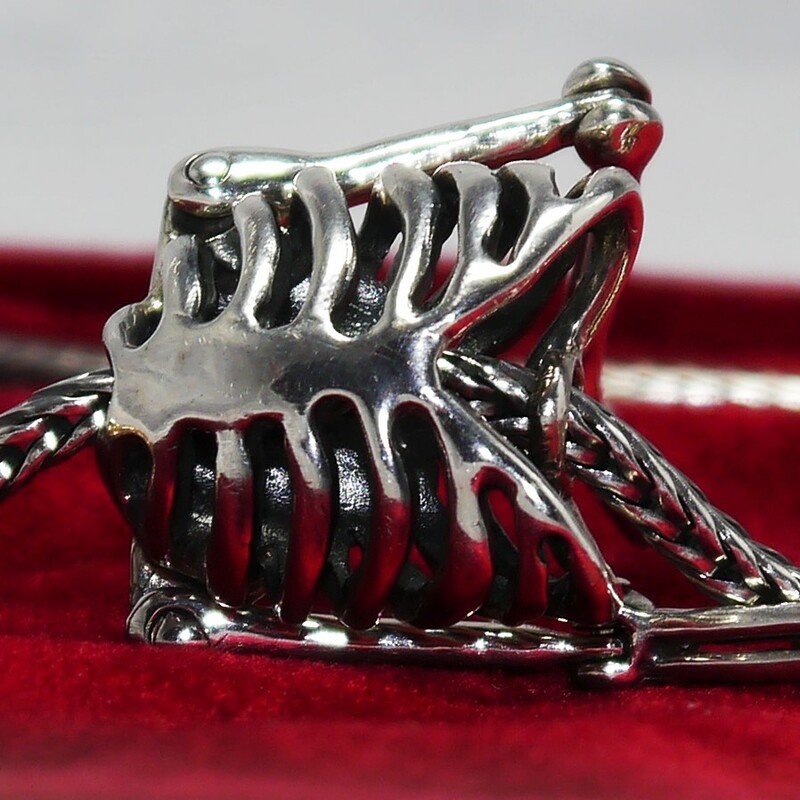 The Skeleton is a focal piece and beautiful in its own right, however there is the option to add beads along the spinal column in between the vertebrae. Whilst just a couple of beads can add a lovely splash of colour, too many detract from the beauty of the piece itself. 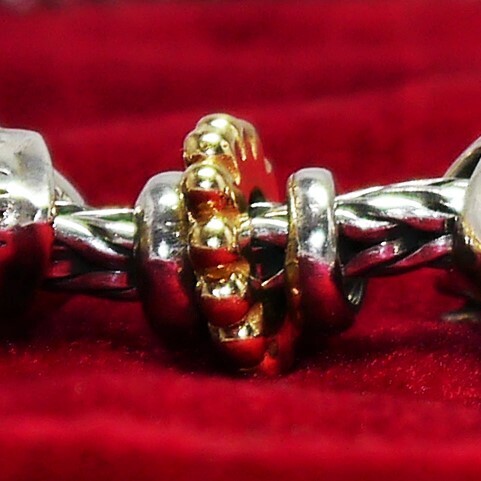 The Christmas 2010 release saw the introduction of two limited edition glass kits, a diamond bead, four silver beads (including People’s Bead winner), one gold bead and 3 pairs of silver earrings. 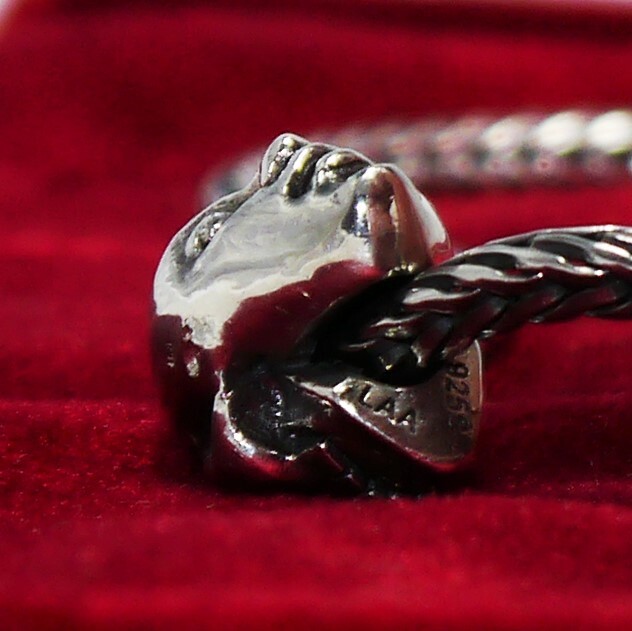 All images are Trollbeads stock images – please do not reproduce without crediting. 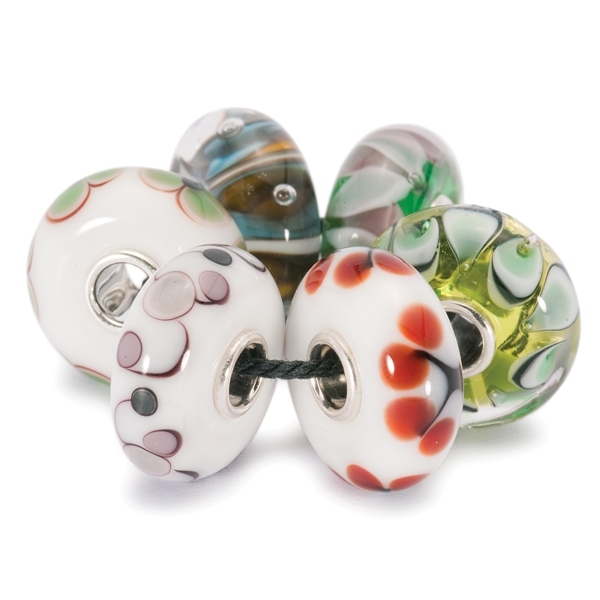 22nd October 2010 saw the release of Trollbeads Picasso Jasper. These beads vary immensely. The colour range includes creams, browns, greens, oranges and reds, all in varying shades, patterning and marbling. Some beads were quite striking whereas others were relatively plain, however even the plainer versions work well as neutral bead in many a combination. 1st October 2010 saw the release of a very special limited edition. 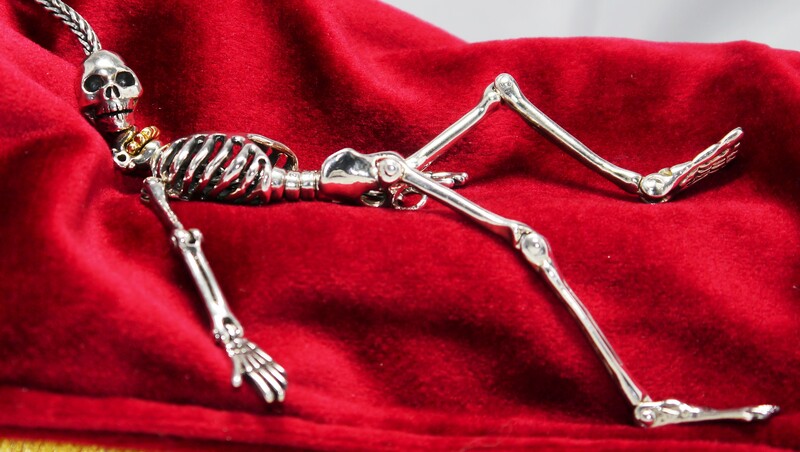 Designed by Søren Nielsen, the Skeleton is 14.5 cm / 5.7 inch in length. 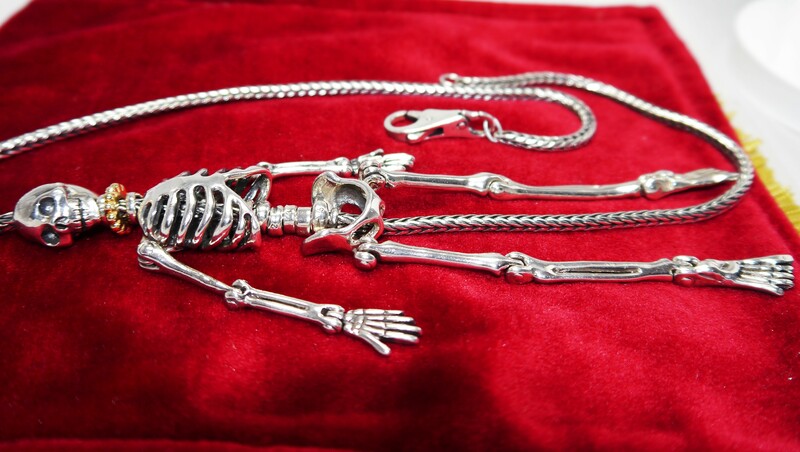 The Skeleton Necklace includes a 50 cm / 19.7 inch sterling silver necklace with Plain Lock, and comes in a luxury presentation box. 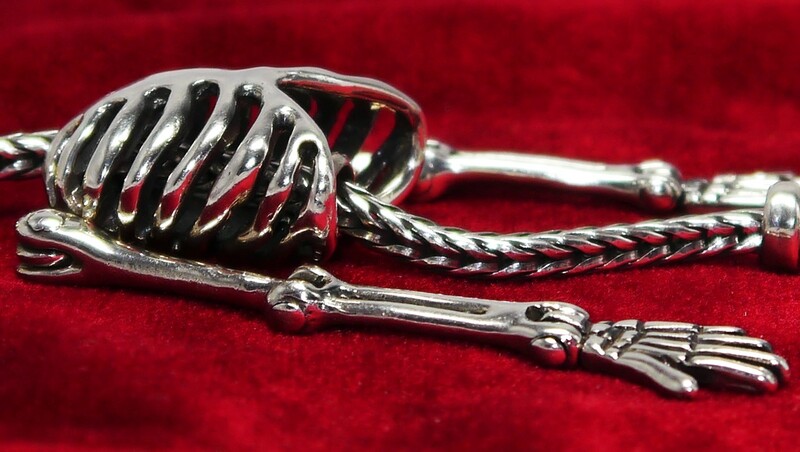 The Skeleton is sterling silver with 18 carat gold decoration around its throat. The head is two sided, displaying a skull on one side and a face on the other. 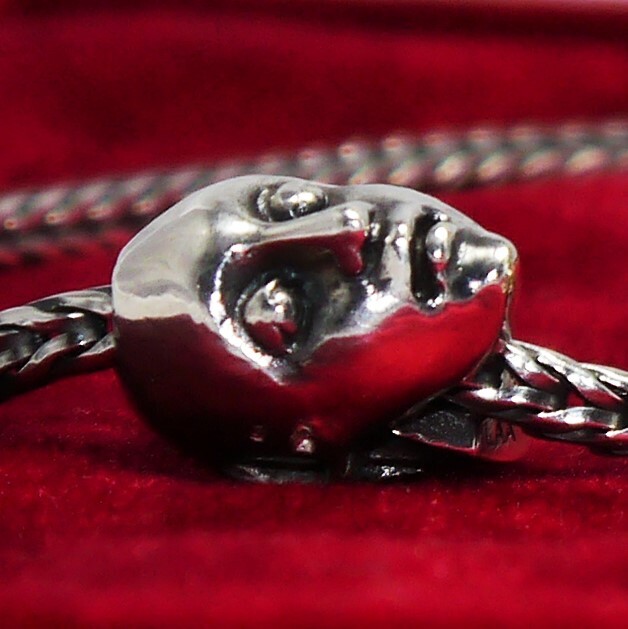 The head itself can be worn separately as a bead on its own. The torso and arms are one piece, and the shoulders, elbow and wrists are all jointed. 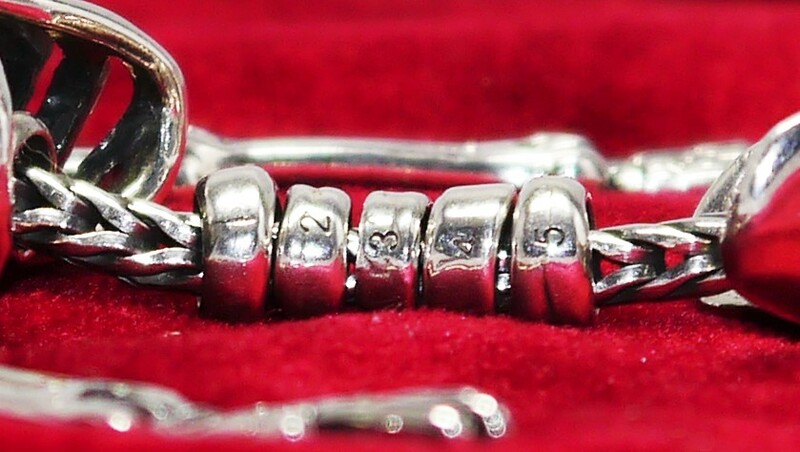 The vertebrae are represented by five numbered silver discs. The pelvis and legs are then also in one piece, again with fully jointed hips, knees and ankles. 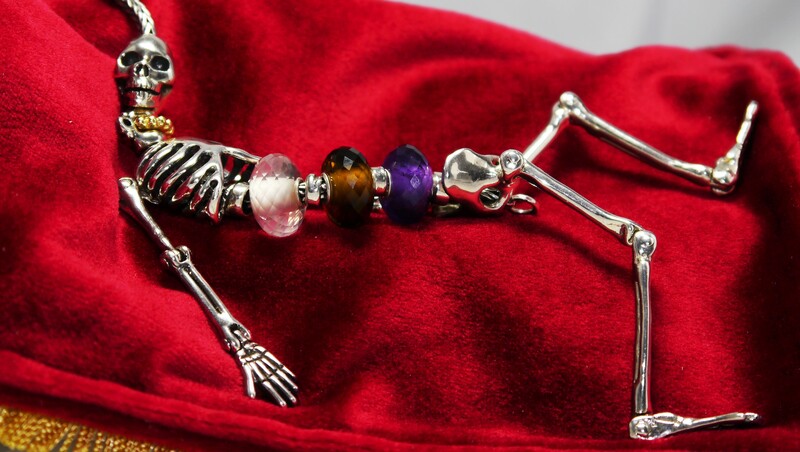 Glass beads can be worn where the vertebrae are to add a splash of colour if wanted. This release was very limited, with a price tag that made it out of the reach of many a collector. 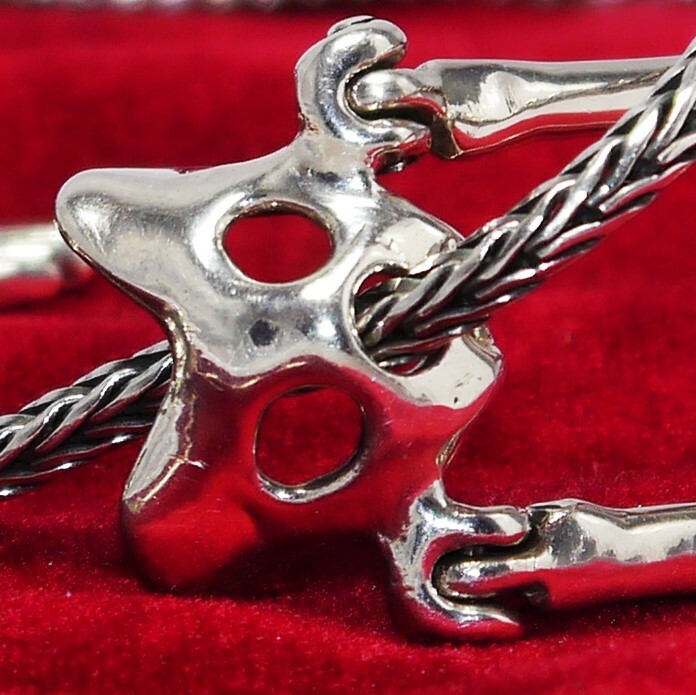 Due to the nature and size of the design, it will appeal to some collectors but not to others. That said, nothing can detract from the exquisiteness of this piece. 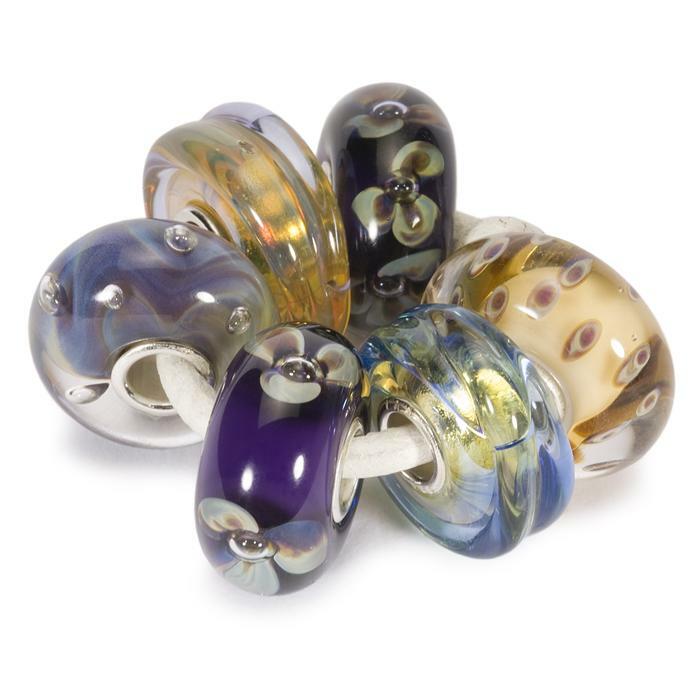 The Trollbeads 2010 Autumn collection brought the release of two new glass kits, three gemstones and sixteen silver beads (of which twelve were zodiac beads). 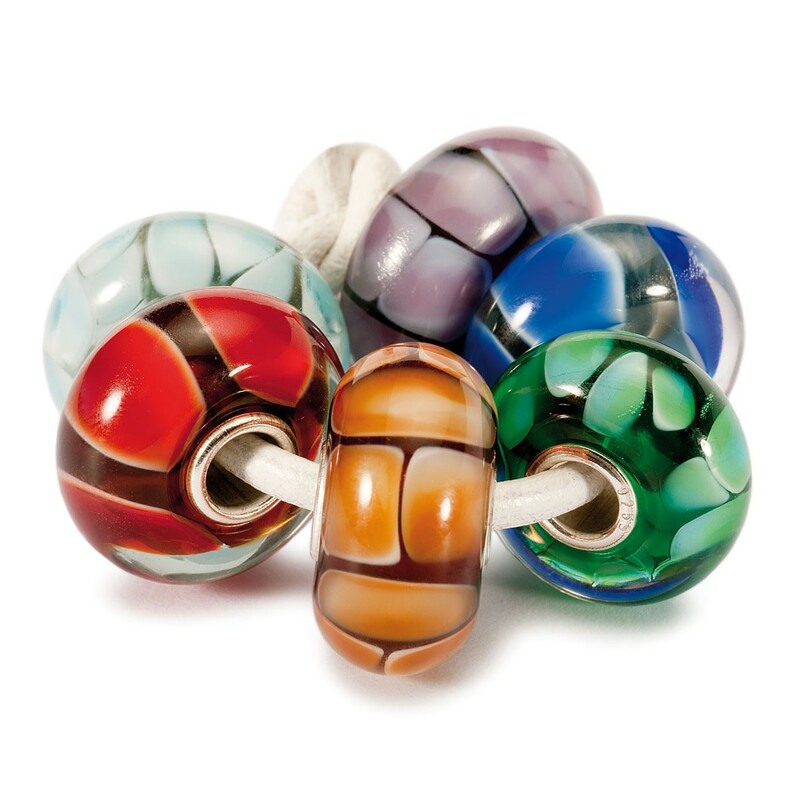 Big Earth – reintroduced to collection in celebration of the launch of the Trollbeads museum. 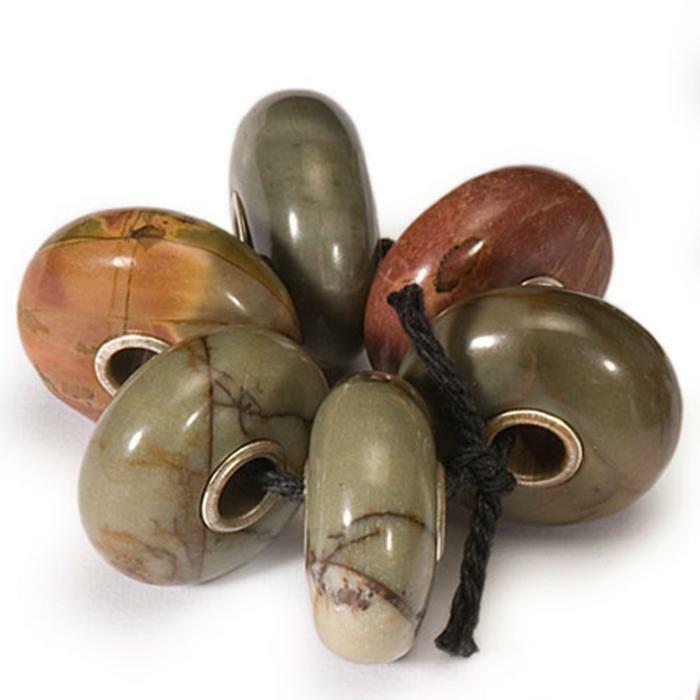 Valentines 2010 saw the release of beautiful Crazy Lace Agate beads. 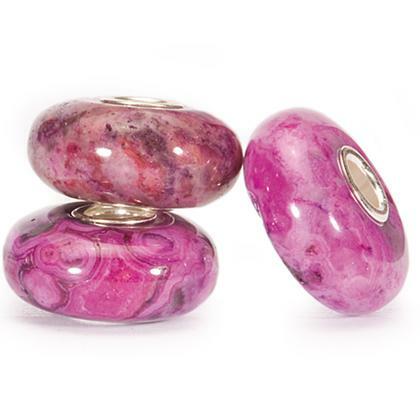 Displaying a range of shades from vibrant pink to purple, these stones have a beautiful marbled and veined effect, which also varies in intensity. 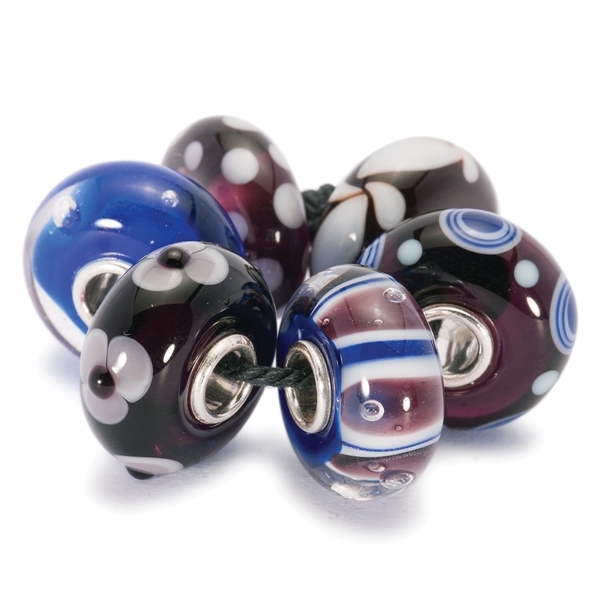 The European release saw smooth cabochon style beads, whereas the US saw faceted versions being released. 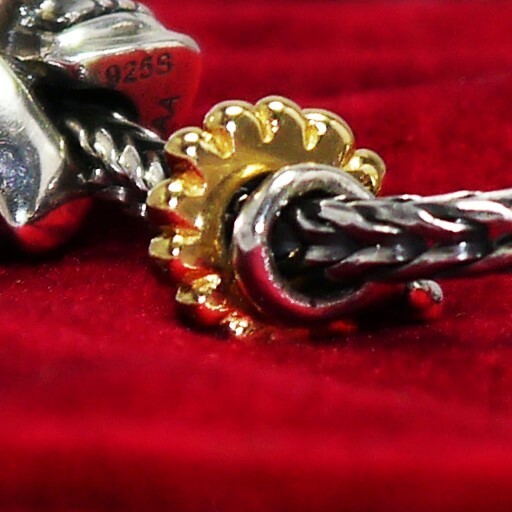 Here is a glimpse of some of the pieces that made their debut in the Trollbeads Spring 2010 collection.